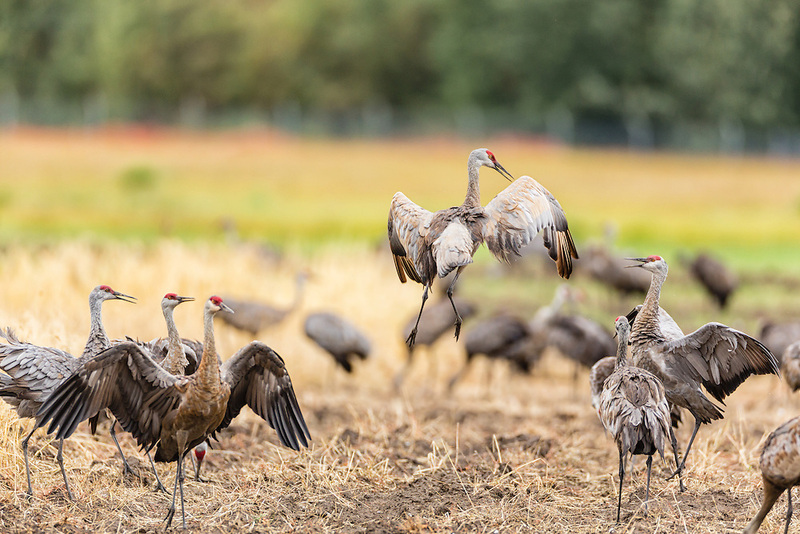 Agitated Sandhill Cranes (Grus canadensis) display plumage while foraging at Creamer's Field Migratory Waterfowl Refuge in Fairbanks in Interior Alaska. Summer. Afternoon.